Just a warm up before I start working on a commission I, cough, really need to finish. 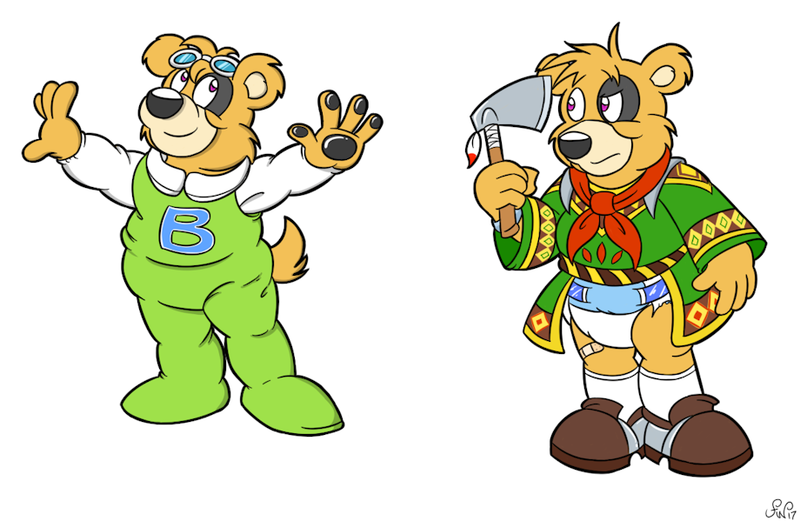 On the left, Byron is dressed up as Mint, the pilot of Gwinbee from the Twinbee series. On the right, Byron is doing his best impersonation of Roan from Grandia II.